Wow, this is fucked up. I just left them feedback on their website. We’ll see if they respond. This is so unacceptable! Vegans have been duped, but so are those who have egg allergies, which is more serious. I applaud you for taking the steps to report them. Please post any future updates. so maybe they are trying to say it is vegan without the bun, but obviously they should have asked if you wanted a non-vegan bun before they served it. My point is they clearly screwed up on this visit, but maybe it was a one time screw-up. Dear Anonymous, no they did not just run out of the vegan bun. At least not according to the people in the truck, who told me it is “always” served on this bun. The January, 2013 menu that you link to is for a “Bird Rock Coffee” brunch. If you google “Bird Rock Coffee” you will see it is in La Jolla, and so this is the territory of the Green Truck San Diego, who as I stated in my update above had written to me to point out that he uses “Sadie Rose Foccacia Vegan Buns” and I applaud him for that. As you will also see from my update, he contends that his business is separate from the LA business, though it’s certainly to tell that from their joint website. The problem appears to be an L.A. problem. I’m viewing this post on my iPhone and don’t see an update either, despite refreshing the page a few times. I feel bad that the SD truck had to do some damage control for something that they didn’t do. LA truck, you need to address and fix this problem ASAP! The update is now visible! I just received an email from David Holtz, owner of the San Diego truck, in response to the feeback I posted on Green Truck’s website about this issue. 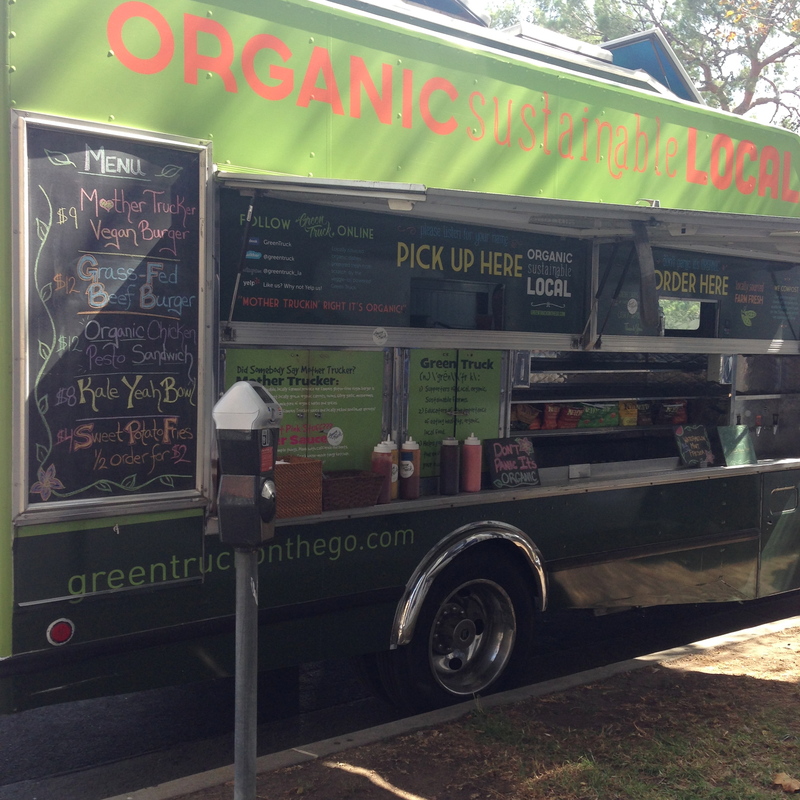 He is discussing this with the LA truck, but says his business is a totally separate LLC from LA, and that his truck has always served vegan buns from Sadie Rose Bakery in San Diego. So the issue appears to just be with the LA truck. Our Mother Trucker Vegan Patties have been made in house with locally sourced ingredients since 2007. 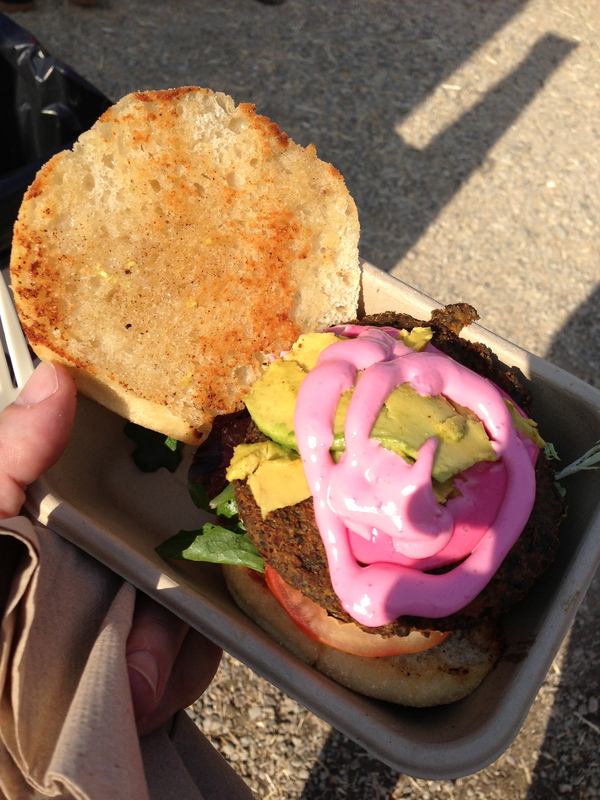 We do offer our patty on vegan bread, a bed of kale, or an artisanal bun that does have egg in it. This is up to the customer, as many of our customers enjoy our Mother Trucker Patty on an artisanal bun and even add bacon and cheese! Our menu supports vegans and non-vegans alike. Our Mother Trucker patty is 100% vegan and it is the customer’s choice as to how they wish to accompany it. No deception here. 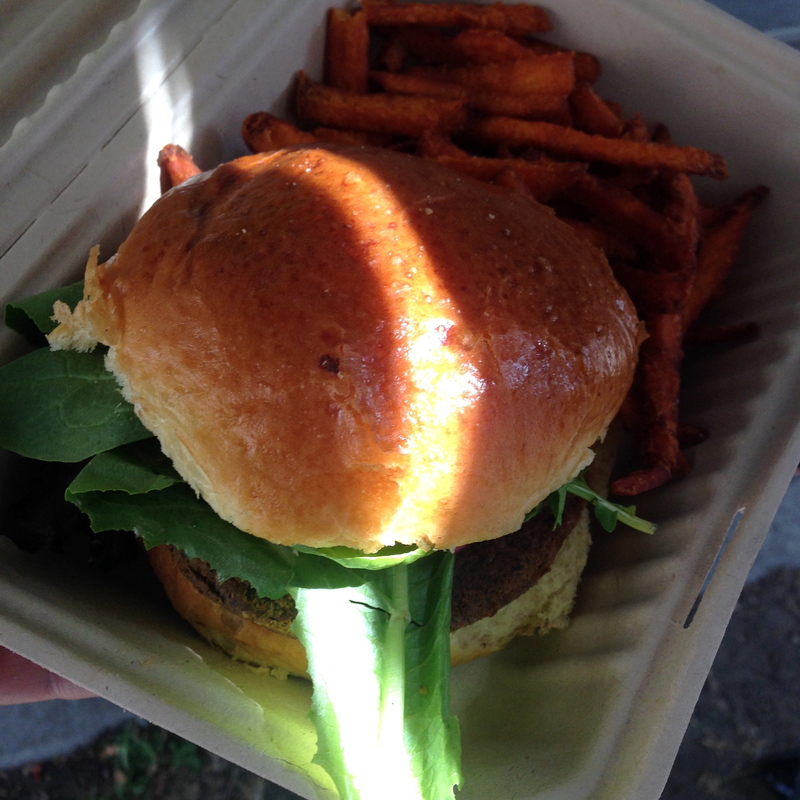 On days where we have run out of the vegan bun it is served on an artisanal bun which is listed on printed menus on the truck and is the customer’s choice if they wish to sans the bun and go with the bed of kale to ensure their meal is vegan. Our apologies if your experience was confusing. We love our local vegan community and proudly provide delicious, organic fare. The controversy has also reached Tennessee, where hopefully you don’t operate — ever. I am vegan and also CANNOT TOLERATE EGG. How many people do you qant to see with allergic reactions to the eggs? It isn’t pretty at all. “Our apologies if your experience was confusing.” CONFUSING ???????!!!!!!!!!!!!!!!!!!!!!!!????????????!!!!! It’s not confusing, it’s called FRAUD, intentional, CRIMINAL, health-endangering FRAUD! Please shut yourselves down immediately as a result of your criminal acts, not just because you were found out. Nobody shoot the messenger. EGGS are NOT A VEGETABLE, and if you don’t know that, you have no business defrauding your customers or offering “Vegan” food to the public. PUBLIC servants, regulators, watchdogs, take note please and do your duty to protect the public from fraudsters.